There has been a quite long bit of inactivity from my side. There's plenty of stuff that I should catch up with (including SCP files transfer...), but there's one thing that I've been working for quite long. Two years, actually. This weekend I found few hours to finally give it all a final polish. I really like water. I mean, everything what is connected with hydrography, hydrology and river engineering. That was a part of my education at university and is a part of professional life. I could spend hours in SimCity shaping rivers, streams and creeks, forming lakes and seashores, as well as dams and resevoirs which are not so popular things to see among MDs. Basics about proper terraforming in order not to flood your country. A little bit of hydrology. How it varies between regions? 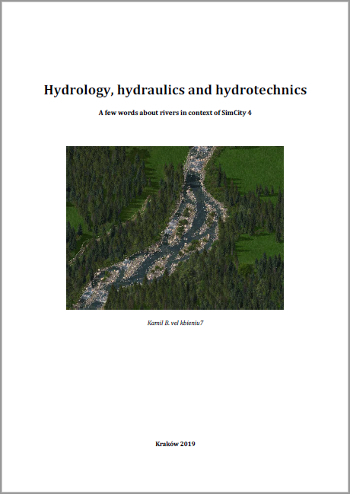 Basics about hydrology (mostly about rainfalls). Some facts to keep in mind when locating your cities. Floods and measures how to protect against them. 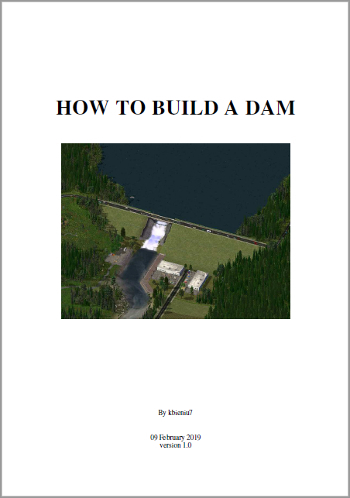 Structure of dams and rules how to find a good place for them. I tried to describe some real-life mechanisms provided with real-life images and their SimCity counterparts. I'm aware that probably for almost everyone it would be too big in volume or too boring. However, maybe few realism-oriented players would find some of its parts useful... Or just as another text to read during your commute in a bus or train. All information in this document is based on books, trusted internet sources, as well as my own university education and own experience. I tried to do my best, but if you manage to spot any kind of mistakes or discrepancy, feel free to share your comments. Most of examples are based on Poland and Europe and might be a bit biased, as obviously I have the biggest experience with this land. Thanks for people who agreed to use their photos: Vizoria, Badsim and Korver. Thank you for visiting Kolbrów, and for being for last ten years! Hello, kbieniu7. I am very glad to see you here. Always liked all Your themes and art. I wish You success. WOW! Thank you for sharing these materials! Thoughtful and insightful. That's some dedication. I will take the time to read that. I really love when people bring about their real life knowledge from their studies or work and apply it to the game. +1 Karma point from me. You know you are playing the right simulation game when you can read treatises on how to simulate specific elements of the real world in it. What a fantastic idea!! Thank you for all your hard work!!! That's a wonderful job, and two years of hard work! This is worth it, the didactic is very conpréhensive and well referenced. Thank you for all your work. And glad to see you're back on the forum! Thank you for referencing my videos! I wonder if the same kind of tip exists for the connexion between plopable rivers and SC4 open water ? babuloziwad / adj Above perfection in SC4; Dude, this MOD is ~ ! This is an awesome tutorial, really put together well. Thanks for your hard work on this. Page created in 0.423 seconds with 80 queries.